This was another fine weekend of picking. I went to many garage and estate sales. Here is what was found. 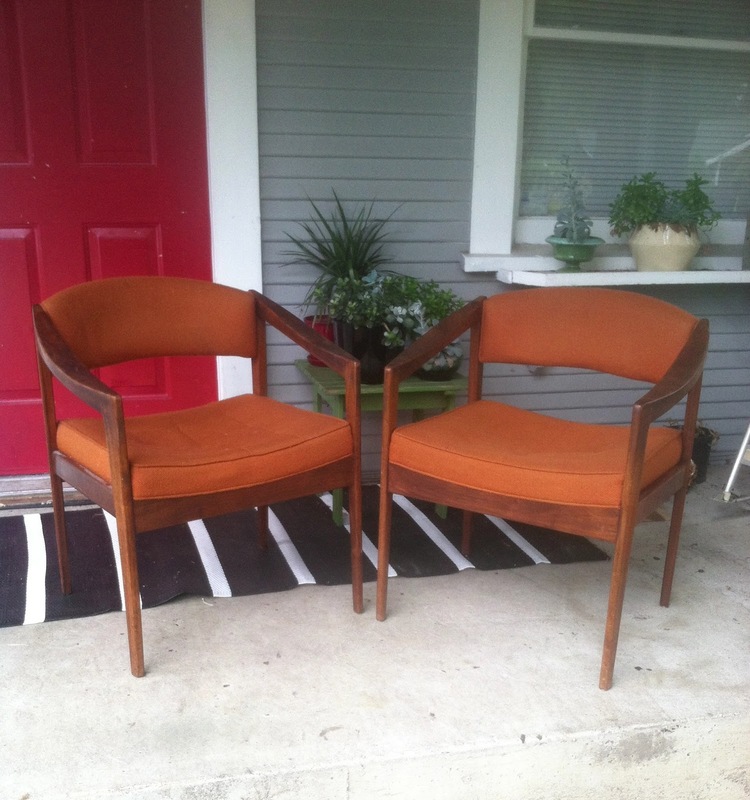 My favorite find of the weekend was this pair of Eames arm shell chairs. They are currently being refinished and will be up for auction on eBay shortly. (Update *Sold on eBay). This Danish lounge chair frame. We will make some more cushions for it this week. Wonderful set of solid walnut armchairs. Sold at Hawthorne Vintage. Amazing finds as always! I can't wait to see what you do with the shell chairs. You guys should write a book all about restoring vintage furniture! The nesting tables are really cool too- I've never seen ones like that before. Thanks again for hosting the link-up! Melissa is right! You guys should totally write a book! 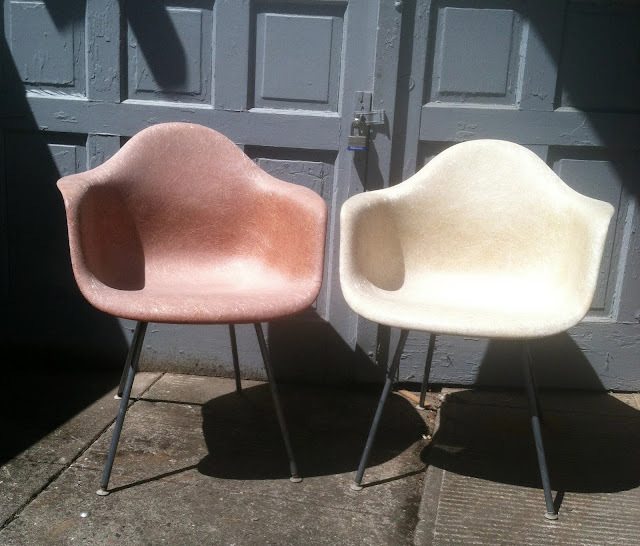 How do you fix up those Eames arm shell chairs? Aren't they fiberglass? Would love to see pictures when you're done. You find the best furniture and accessories. I love seeing what treasures you find each week. Thanks for hosting. Love your furniture finds. Thanks for hosting. Oh my! your finds are fantastic!!! You're so lucky! Those are some great finds! Love the Eames chairs especially! I am very interested in the set of armchairs in this post - what color will you reupholster? Also, what about the nesting tables? Price? Those nested tables interest me! I had an identical set, but they were gold with smoked glass for the top. 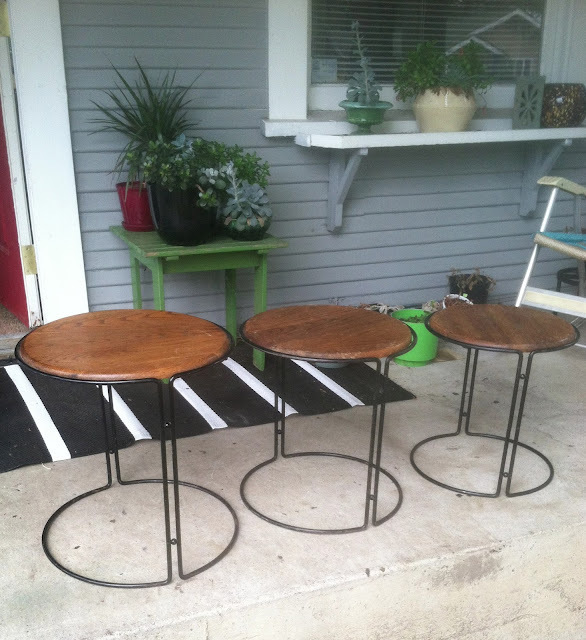 Once I spray painted them a crisp black, they looked great. I wonder if someone has refurbished these with custom tops...? The shape and scale of the tables is otherwise completely identical. Mine were a nested set of three also. I wish I'd kept them, because with wood tops they look beautiful! !